Your hardest chore just became your easiest! Simply drop scalded birds into the tub and let the Featherman do the work. Ideal bird weight is 30 lbs. In 20 to 30 seconds birds are squeaky clean! No pin feathers remain. 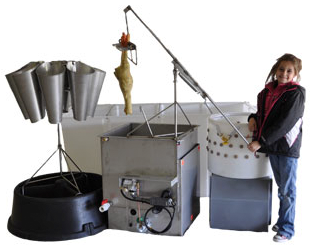 The Featherman has a 24" tub diameter, stands 33" high and has a 28" by 30" footprint. It uses a 1 hp motor and 10:1 speed reducer giving an effective strength of 10 hp. 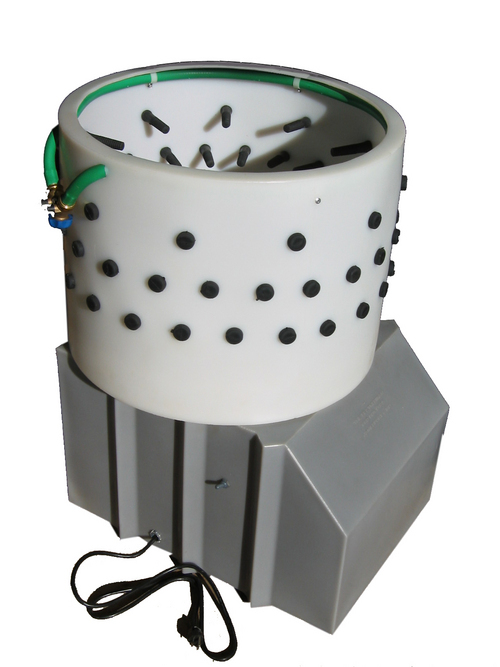 The tub and motor housing are constructed of tough, UV-stabilized, food-grade plastic. Standard features include spray ring, feather chute and easy-access waterproof switch. Shipped assembled, ready to plug in. Featherman Quail is designed for small upland game birds, pigeons, doves and can handle gun shot birds without tearing skin. NO SHIPMENTS OUTSIDE THE U.S.A.
No pin feathers after plucking only happens with a perfect scald. The Featherman Scalder holds a constant water temperature to give you that perfect scald. 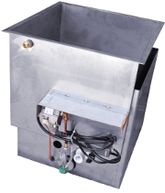 Made of stainless steel with a 30,000 BTU propane burner, temperature control within a five degree range, and sized for four birds at a time (40 gallon). The Featherman Scalder delivers maximum performance at a minimum price. Drain valve, full protective rim is standard feature. One year complete warranty. Featherman Manual Dunker and Shackles: The Featherman Manual Dunker makes easy work of dipping your poultry to get a thorough, even scald. The up-and-down action aids water penetration to loosen feathers. The unit mounts on the Featherman scalder in about 5 seconds, locking into place. No tools are required. 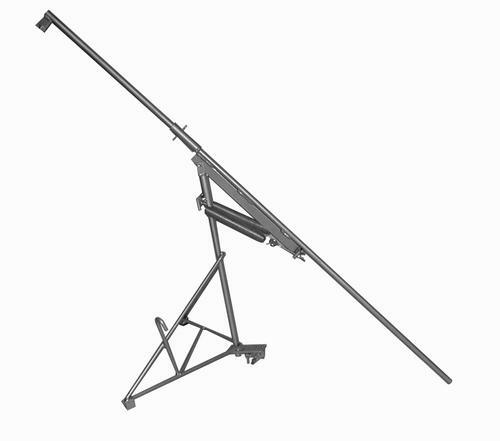 The dunking arm also pivots from left to right making loading and unloading birds easy. 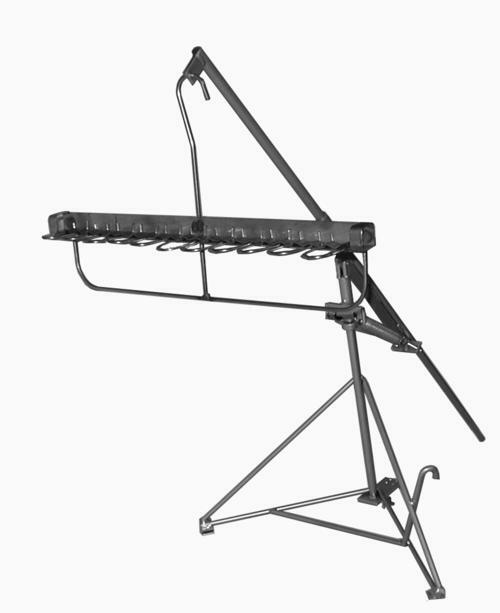 Heavy, adjustable springs allow any load of poultry to be neutrally balanced for effortless dunking. Made of powder coated, mild steel. The Featherman shackles are made of stainless steel and hold up to five birds of all sizes. The shackles hook into the Featherman Manual Dunker. 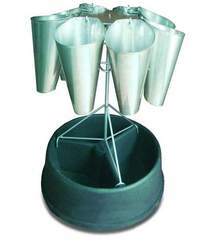 The stand allows you to rotate the unit as you place the birds in the cones, making the process very efficient. 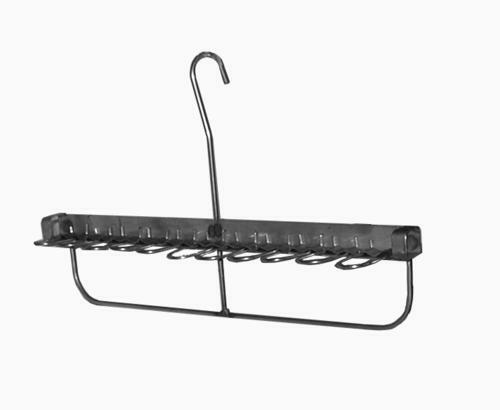 The stand is made of easy to clean powder-coated steel and molded plastic. The cones are stainless steel and spot wielded for strength and longevity.